Garen Demerdjian is an Armenian, Lebanese fashion designer born in Beirut, Lebanon. Garen began studying art and painting as a youth in his native country Lebanon. During the civil war in Lebanon, Garen’s family moved to Greece, home of his mother’s family. There, Garen continued his academic studies along with his painting, which premiered at several prominent galleries. After the conclusion of the war, Garen returned with his family to Beirut where he attended the Academy of Beaux Arts to further his studies, graduating in 1996. 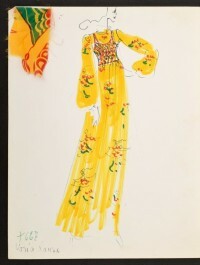 Garen then turned his artistic talent and energy to his life-long passion of fashion design. 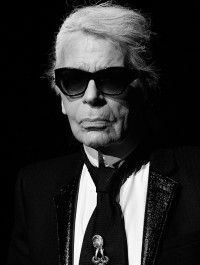 He enrolled at Esmod University in Paris to study fashion design and graduated 1999. Garen designed his first two collections in the studio of his home in Paris, both of which were purchased exclusively by the trend setting L’ Eclaireur in Paris. The early collections were also sold to the top trend-setting boutiques of the world including L’ Eclaireur- Paris, Maniac-Tokyo, Brown’s Focus, Liberty’s- London, Maxfield’s-LA, Penelope- Florence and Dantone in Milan just to name just a few. Talent Scout and agent Eo Bocci was appointed world-wide sales agent in 2003. Mr. Bocci is responsible for the discovery of talents such as Jean Paul Gautier, Dries van Noten, Rick Owens and Anne Demeulemeester. In August of 2004 Bedie Moran, a career business management executive and International Strategy consultant partnered with Garen to develop the Gardem Brand. For the Spring Summer collection 2005 Gardem was awarded the New Generation designer award and received sponsorship for his first catwalk show in London by the British Fashion Council and Top Shop. Gardem received many press accolades for the collection and was featured in the CNN design 360 for the month of October as well as numerous other publications including Vogue.Com, Style.Com, L’Officiele and The International Herald Tribune. Gardem adds the world renown design lab and boutique Colette in Paris to its stockists list as well as Isetan and Bus Stop in Japan, and Princess in Belgium to name a few. Autum/Winter 2005/2006- Gardem receives their second New Generation Award presenting his catwalk for a second time at the Royal Academy of Arts in London. In Spring Summer 2006- gardem announces hiring Laurent Suchel as international press representative. Gardem establishes Gardem Distributors for the manufacturing and world- wide distribution to stores and boutiques in over 13 countries. Lane Crawford in Hong Kong picks up the brand and launches it with a conceptual art installation by Garen in their new store in Hong Kong. Gardem’s catwalk premiered in Paris during Paris Fashion Week at the Carousel du Louvre. For the next two seasons Gardem continues to show in London whilst refining and developing his designs, which have met with continued commercial and editorial success. Spring /Summer 2007 collection- gardem receives the Innovation in Design award from Cotton USA for catwalk sponsorship during London fashion week.